It’s that time of year again, and the last minute Valentine’s Day reservations are booking up fast. While we’re all for an opportunity to celebrate love, waiting hours to be seated in busy restaurants isn’t always ideal, so we wanted to give you some alternatives to the traditional Valentine’s Day date. Whether you just bought a new home in Kansas City or you have lived here for awhile now, there’s a lot to love about this town. Here are some of our favorite things to do in Kansas City during the season of love. Go treasure hunting in one of the many antique stores here in KC. With so many places to choose from, you never know what you’ll find. Perhaps some unique items for your home or a gift for a loved one. Take someone you care about on your antiquing adventure and at the very least, you’ll make some pretty great memories along the way. Let’s be honest, brunch is something you can and should do almost any time of the year. It’s also a great way to avoid the Valentine’s Day dinner-date rush. Whether you’re looking to get out of the house for some quality time with your SO or you’re in need of some bonding time with friends, you can never go wrong with brunch. Find one that sounds awesome and put it on your agenda for the month. We all know and love the brand but have you ever seen where BLVD beer is made? Warm up with a tour of the iconic brewery and enjoy a few drinks for us while you are there. Fall in love with the Boulevard on a 45-minute brewery walking tour. Tickets for this option are only $5 and tourists will get to sample different beers at the end. Pro tip: If you go on a Wednesday, it’s free! Tours fill up fast though, so be sure to plan ahead and get there early. 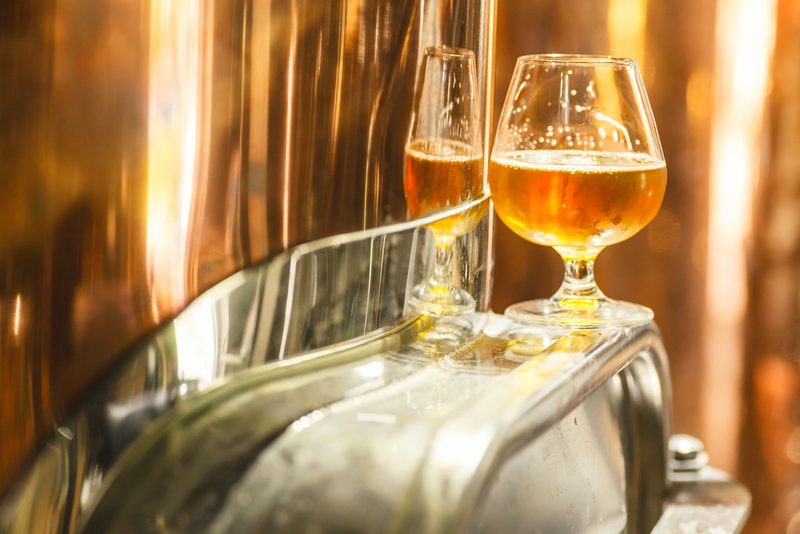 For $25, you can enjoy an in-depth, two hour tour of the Brewery with guided food and beer pairings. True beer lovers should check out the Unfiltered tour, which includes beers along the way, brand new production stops, and a souvenir tasting notebook and glass. February is a short month, but we still have a ways to go until spring arrives. If you’re feeling a little bit of cabin fever this month, head to one of the art galleries. If all else fails, appreciating some amazing art might help you forget the cold, at least for a little while. Just because it is chilly outside and you couldn’t get a reservation at your favorite restaurant doesn’t mean you have to stay home! Share new experiences with the ones you love and have a fantastic Valentine’s Day or Valentine’s month. The experts at Cami Jones & Company know and love Kansas City. Our specialists are here to help you! Let our team help you find the perfect home in this wonderful city. Give us a call today! You can reach our team at 913.521.8806. Want to come and see us? Our office is conveniently located at 5000 W. 135th St. Leawood, KS 66224. It's been an exciting month for the Cami Jones & Company team! We have added two phenomenal women to our team, and this is nothing but great news for our clients. Our larger team allows us to deliver even more of the personalized, concierge-style service that we are known for. Smart homes and the gadgets within them are all the rage. What are the “must have” smart home gadgets? previous post: Noble Designs: Bring on the Color! next post: Should You Renovate Before Selling Your Home?